"Morpheus is a remarkable innovation that pushes the boundaries of play"
We're talking about the PlayStation ecosystem, which sounds like some kind of futuristic greenhouse that grows Crash Bandicoots. But in fact refers to the way Sony's PlayStation brand covers all kinds of devices. Which is fun too, I guess. 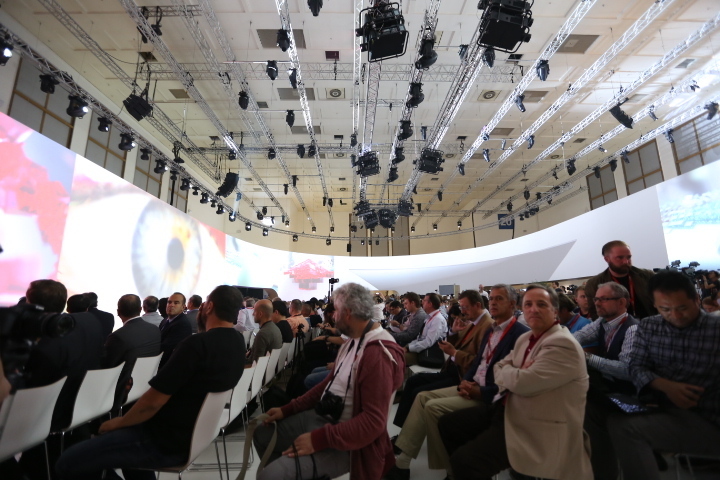 "We're talking about powerful, 360-degree experiences unlike anything you've ever experienced." "It also provides a social dimension that lets players connect and share their experience with others." "And hang on to your hats. It's unlike anything you've ever experienced before." "We're also paying attneiton to the way people spend time at home." Project Morpheus is one of the most exciting VR gadgets out there -- but it doesn't look like Sony has anything new to say on the subject. 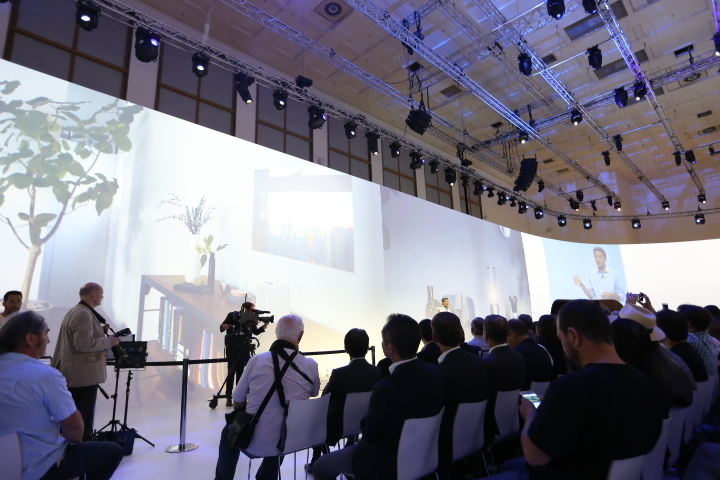 "Your home can brought to life by Sony's Life Space UX products that transform your environment into an authentic living space." 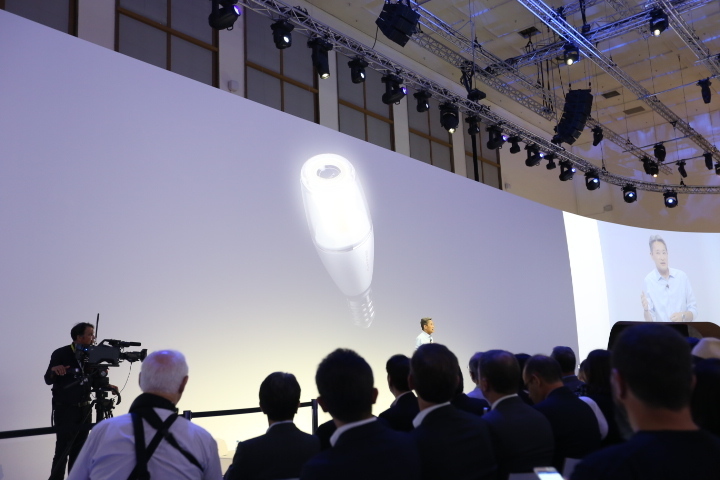 "Since 2014, we've been previewing our LIfe Space UX concepts, and here in Europe," a projector has been available since June. The will hit the market next spring. "About a year and a half ago we launched the Seed Acceleration Program in Japan." "Aims to fast-track new business ideas proposed by our employees into businesses." 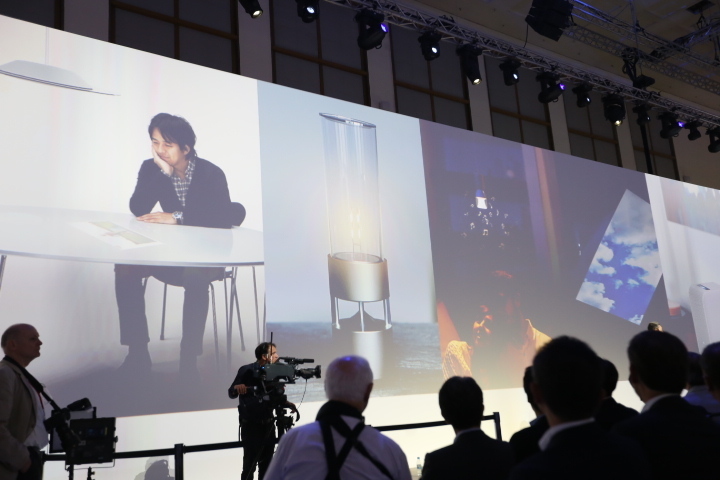 "We're encouraging open innovation from inside and outside the company." Have had more than 1,000 employees participating this year. 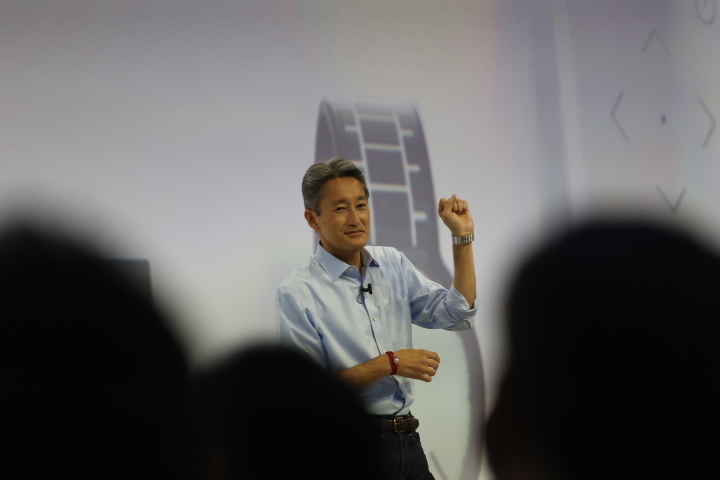 "Some of these ideas have already advanced toward fruition - MESH smart DIY kit, the Fashion Entertainment Watch, Wrio Smart Lock, etc"
"The latest is a wrist watch called 'wena wrist' with smart features embedded in the bracelet"
"We revealed this just two days ago so you'll be one of the first to see the actual product"
"Sony has been a company that thrives on innovation. Throughout our innovation, we've been venturing into new business areas." Sony is smart to promote new, quirky ideas from within its business -- that's how the Xbox got started, just for instance. 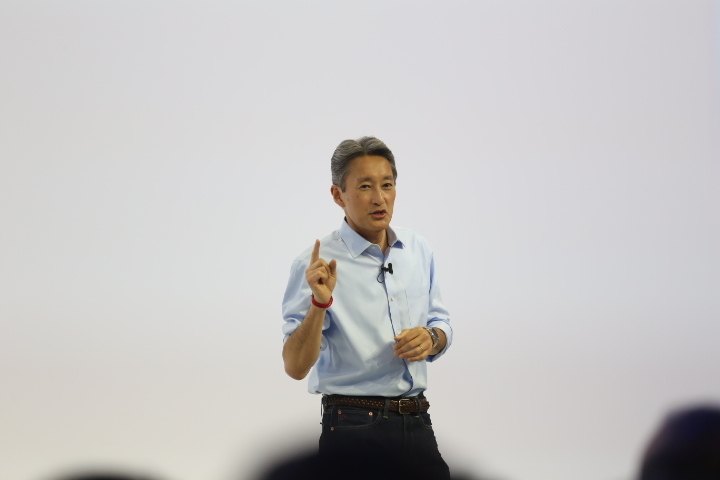 "You continue to see Sony make major strides in creating innovative technologies and meaningful product solutions that will surprise, delight and connect with you and even deeper ways." "I couldn't be more excited about the future." 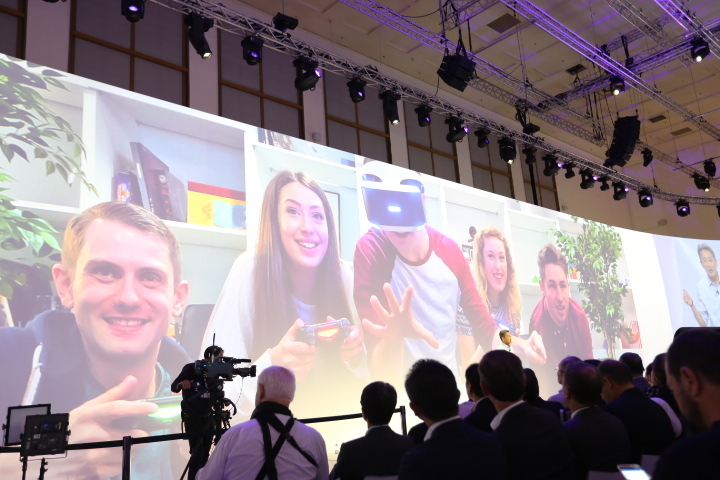 So, there wasn't exactly a mountain of news here -- the new Xperia Z5, Z5 Compact and Z5 Premium were definitely the biggest announcements -- make sure you check out our hands-on video, photos and write-ups above. That's all folks -- thanks so much for reading, and let us know what you think of the new smartphones, which have some really interesting new tech inside 'em. Right, we're off to grab a pretzel. What happened to the walkman? They aren't gonna say anything about it? Yeah, we got no details about the Walkman, but we'll try to hunt those down. stay tuned!